Cao Bang located in Northeast Vietnam, possesses the incredible natural beauty, a magnificent Ban Gioc waterfall, a range of limestone mountain surrounded the colorful ethnic minority villages, a jag Quay Son river bent toward a lush rice paddy fields etc., and the vibrant traditional culture of the ethnic minority. If you are seeking for a city break, the Trekking the Limestone Mountains and Handicraft Villages of Cao Bang tour is for you. Definitely, this four-day trekking Cao Bang is worth your time. After you finish the trekking tour, you will never regret your decision on setting footprint in this remote mountainous region. Leaving your comfortable life behind and launching yourself into the outdoor activities at secluded Northern Vietnam are two of the best ways to reinvent your energy, to broaden your horizons and to create precious memories for your lifetime. Following four-day trekking Cao Bang itinerary, you will actively explore the intriguing mountainous paths which guide you to the highlighted destinations in Cao Bang. 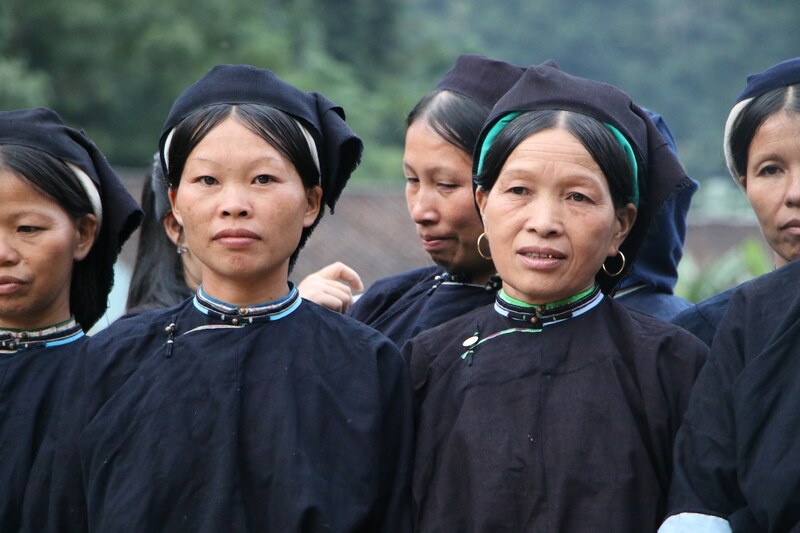 In the first two days of journey, you will extremely trek across Phia Phap village, which is the home to 50 families Nung ethnic minority and owns the enriched local culture. To conquer this trail, make sure you have a basic trekking skill, a good physical condition as well as a strong mental attitude because you will have to trek nearly 20 km in mostly steep and rocky terrain under the tropical weather. In return for these rugged days, reaching the summit of the mountain is the special gift of the taste of achievement after this tough journey, the delight of nature’s beauty which is the picturesque view of the lush valley dotted the ethnic minority silt house, the endless range of nut-brown limestone mountains, and the smell mixed between the fresh air and the aroma of the tropical forest. It will be a truly unforgettable experience in your life. In the next two days of this tour, all outdoor activities do not require much of your physical strength. You will paddle canoe gently along the Quay Son river, climb mountains, visit Ban Gioc waterfall, and discover the Nguom Ngao cave. These places where are all the tourist attractions of Cao Bang province, especially Ban Gioc waterfall considered as the stunning natural wonder of Vietnam. Ensure that after the four-day trekking Cao Bang, you will have the different view about Vietnam which is full of natural wonder. It is still a hidden gem waiting to be explored. Besides spectacular sceneries, this tour also offers you an insightful and fascinating experience in the daily routine of indigenous people. You can be a real farmer actually working on the rice paddy fields or be a craftsman making incense, title, paper, basket etc., Instead of learning from book or reading from newspaper, under the guideline of the local artisan, you can successfully process a raw material to a useful substance which can be used in houses. It is undebatable that these trial will enhance your perspective and boost the tolerance towards ethnic minorities. Furthermore, it will be regretful if the local delicacy is not mentioned. Surely you not only taste one dish but also you can try many dishes made from a variety of ethnic minorities. At each stop station of trekking, you will stay at the stilt-house where you sleep and enjoy the local dishes such as colorful sticky rice, smoked sausage, nam khau etc., In this trekking tour, you can savor the picturesque scenery, inhale the fresh air and live like local people. In short, participating in this trekking tour is worth your effort as well as your time. 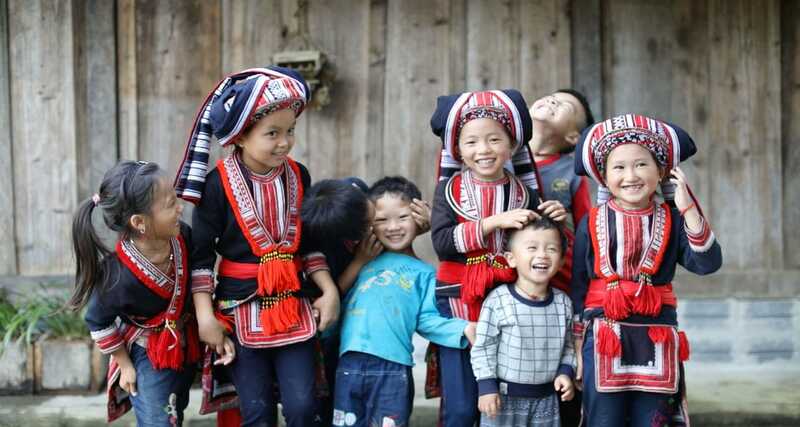 How wonderful the four-day trekking in Cao Bang is!